Been taking advantage of the perfect fall weather. If there is work outside, I'm all over it. 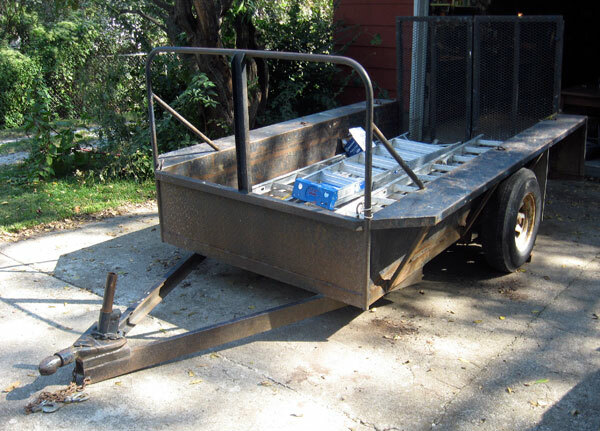 Today, had a customer drop off a trailer that needed some repairs. It was a pretty husky trailer. But rust had taken a toll, especially on the support struts along the side. After removing the rusty sections, I cut and welded some fresh steel in place. The hitch assembly was kind of a mess. It was bent and twisted and the original welds had torn. So, I added some new steel sections and welded it all up together. Now it is stronger than ever and ready to go to the next contractor job. My experiment with a grass strip down the center of the driveway failed. Seems the heat from a newly parked car was just too much for the grass. It dried out and died. 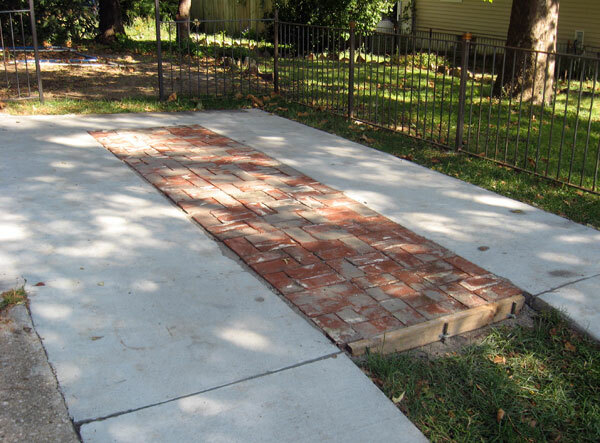 So, I dug out the grass and dirt and laid in a new pattern of brick. The remnant brick is from our house addition from two years ago. I was glad to finally find a place for it. About half of the grass is thriving, because it is never under a car. So, for now it will be a mixture of grass and brick.